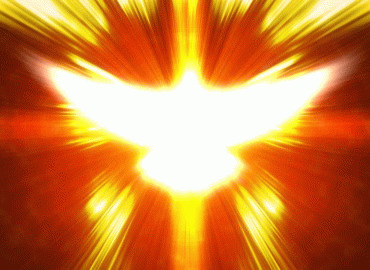 One of the most significant events post-resurrection is the day of Pentecost. It is the day that the promised Holy Spirit was delivered by God. It signified the start of the church age. The Spirit then empowered Peter to give the first sermon, which saw God add to the number of believers an astounding 3000 people in one day. It is the day which Pentecostalism derives its name. Unfortunately throughout time, man has inserted his own personal beliefs over what the Scripture clearly state occurred. Let us reason together and deal with just two such distortions today. The first deals with the modern day manifestation of the gift of tongues. As anyone who has attended a Charismatic service will attest, this is marked when someone in a church service starts speaking aloud in what appears to be gibberish. Even those who practice it will admit that it is not a known earthly language. The belief is that it is a heavenly language which only God understands. Sometimes there is an interpretation of these tongues offered by another person attending. The inference being that God has given them the ability to understand spiritually what was uttered in the unknown language. This is supported in the fact that the gift of tongues is separated from the gift of interpreting tongues in Scripture. In totality, this subject is far more advanced than this discussion allows. My only concern today is that one of the verse sets usually leveraged to claim this phenomenon as true are the key verses from the Day of Pentecost. While it is true that verse three does state that tongues of fire descended upon the disciples, that alone is proof of nothing without the context provided in the key verses. God does not leave us unaware or having to fill in the gaps. He makes it abundantly clear here that the resulting tongues were not a heavenly language at all. God actually goes out of His way to make this point as the narrative lists 18 different sects of people attending on this day and they all heard the disciples speaking in their native language. Of particular note is the fact that the narrative explains that the people all heard of the mighty works of God in their own language. This proves that the tongues spoken at Pentecost were not a heavenly language and that no interpretation was needed at all. The second abuse of the Day of Pentecost I have seen recently is the Charismaniacal defense of being slain in the spirit. This manifestation is when people at a service are allegedly laid out by the power of the Holy Spirit, usually accompanied by the laying on of hands during prayer. During the time they are "out"; they usually report being ministered to by God on some deeper level. In many examples however this is accompanied with inane and uncontrollable laughter or spasmodic twitching that seems more akin to demonic activity than a move of the Holy Spirit. It has led to even more obscenities in the church such as being "drunk in the spirit." This is when people claim they are so overwhelmed by the Holy Spirit that they outwardly appear drunk. These behaviors are easily rebuked through Scripture but today I saw a Christian defend these behaviors by referencing Pentecost. Specifically that the spirit fell on the disciples and they were considered drunk as well according to the key verses. But others mocking said, "They are filled with new wine." Some other translations actually say drunk with new wine. This is clever sleight of hand however by people trying to leverage these verses. The verses here cannot be any clearer. The people who said they were drunk were mocking them. We have eight prior verses of context that do not describe the behavior of the disciples as being drunk at all! They were merely speaking supernaturally in the languages of at least 18 different peoples that were there. All combined for those who did not understand, maybe it did sound foolish or drunken. Perhaps today when unbelievers come to our church and hear nothing but gibberish being screamed out they too will consider it foolishness or drunken-like. Either way, the verses here do not support that the behavior of the disciples was anything closely matching the absurdities of being drunk in the spirit today, twitching uncontrollably or being "slain" by the Spirit of God. Beloved the conversation about tongues is far more involved than this. I understand that. Also, I know that for many people the experience of being slain in the spirit is very real. As a Pentecostal believer, I have been "slain" once and have spoken once in the heavenly language version of tongues that is practiced in most Pentecostal churches today. When confronted by the ultimate source of all truth, Scripture, I am forced then to examine these manifestations within my own life. When I hold the unwavering light of the Bible up to them I must conclude that perhaps I allowed my emotions to create a spiritual experience. As followers of Jesus Christ His Word must be paramount. It must be the plumb line by which we measure all truth. My experience is influenced by so many internal and external factors. Not the least of which is my flesh. While there may be some other verses we can look at regarding these subjects it is clear that the events of the Day of Pentecost do not support them in any fashion and is time we stop misusing such an important day in our faith.